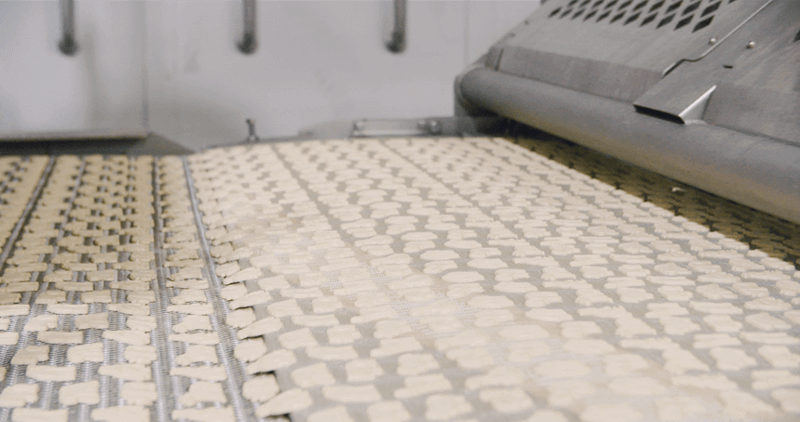 High definition, three dimensional biscuits are created efficiently and consistently by the Thomas L. Green Rotary Moulder. 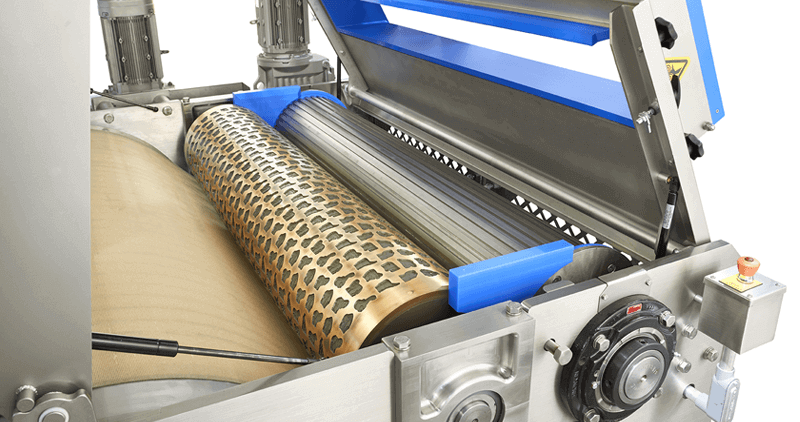 Dough loaded into the gravity fed hopper is drawn down and compacted into an engraved die wheel by a powered forcing roll. 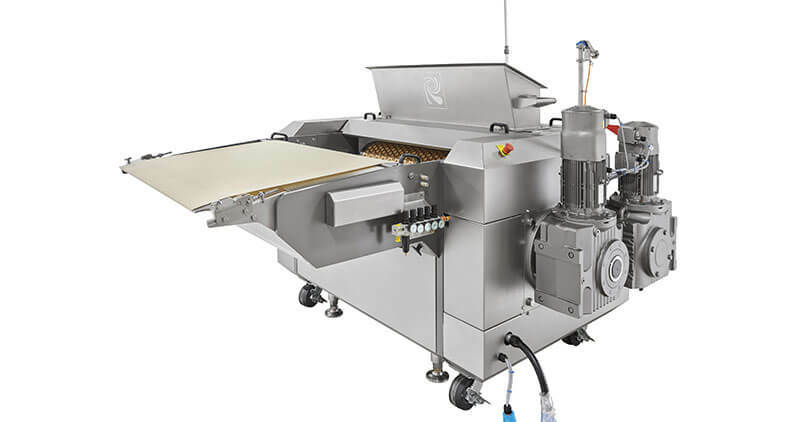 A cantilevered extraction conveyor pulls the product pieces out of the die roll and delivers them directly to the baking system infeed conveyor. 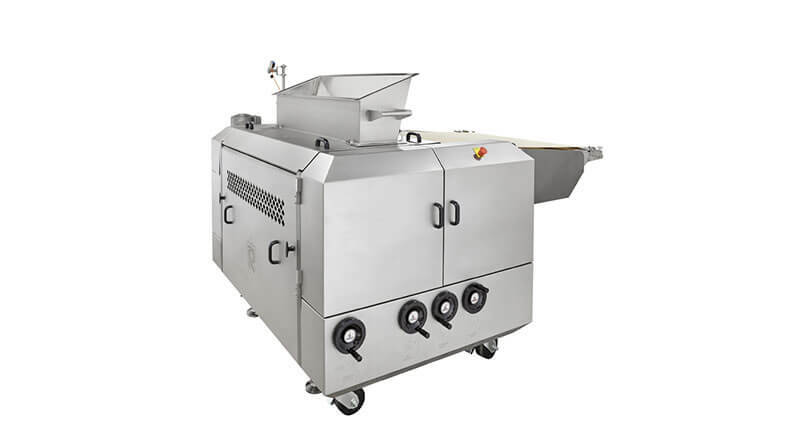 Operator controls are intuitive and allow for complete automation of the moulding process. 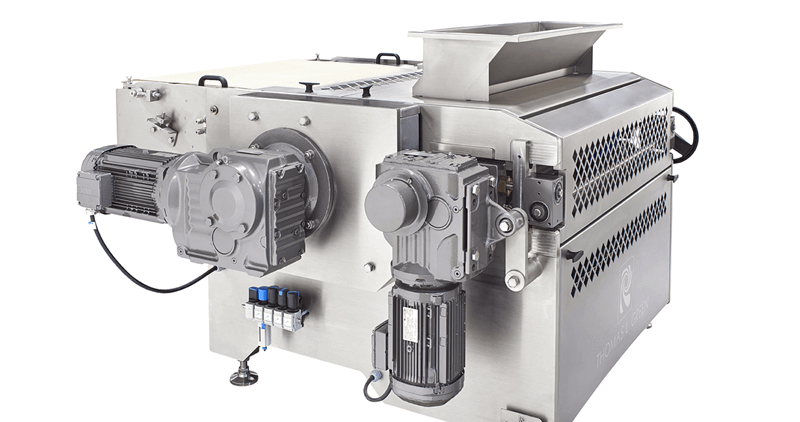 We understand the increasing demands you face to ensure safety, sanitation, and compliance. Our SafeShield Program combines cutting-edge design and manufacturing practices with a firm commitment to safety and sanitation. 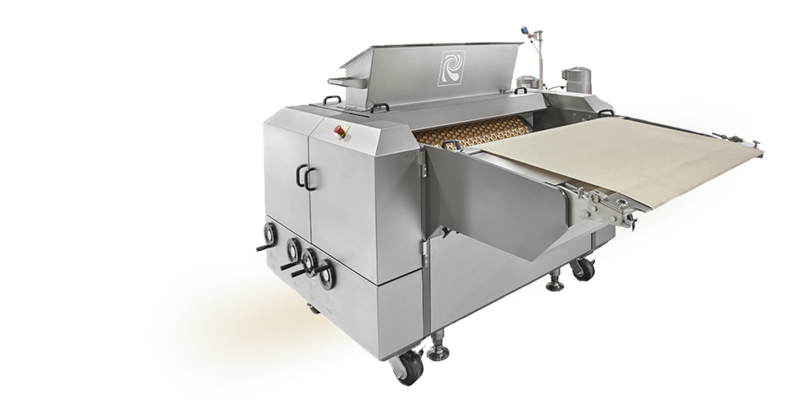 The belt is kept free of dough debris by an adjustable scraper blade mounted under the discharge conveyor nose. 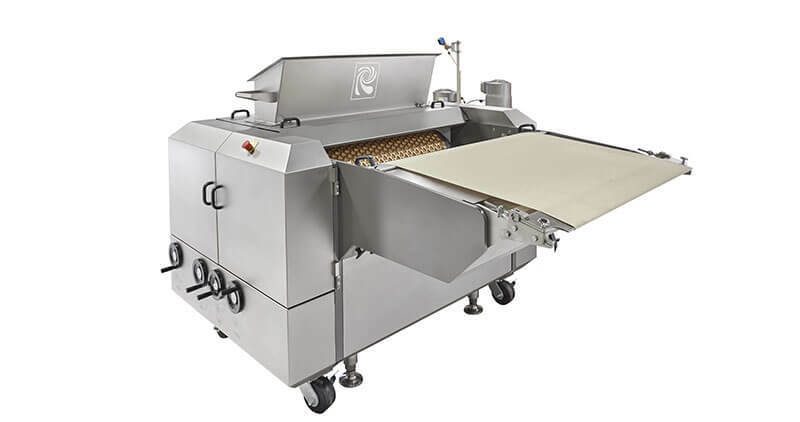 A debris tray under the blade can be emptied at any time during production.